Hours before two police officers were wounded in a gunfight in the Bronx, New York City Mayor Bill de Blasio announced that major crime in the nation's largest city was at an all-time low. In 2014, major crimes in New York fell 4.6 percent from 2013, bringing the crime rate down to the lowest its been in decades. But does that truly mean New York is safer? Between the killings of unarmed men by police officers, the #BlackLivesMatter movement, and the mounting protests and general unease radiating from the New York Police Department, an outsider would believe New York City was truly at "wartime," as the police union Patrolmen's Benevolent Association put it in late December. But at a press conference on Monday, de Blasio quelled fears as he highlighted New York's record-low crime rate — a steep contrast from the New York City of your parent's generation. "2014 proves to be the most extraordinary year of all," de Blasio told reporters. "2014 was a year of even greater achievement – a record-setting year, an extraordinary year." 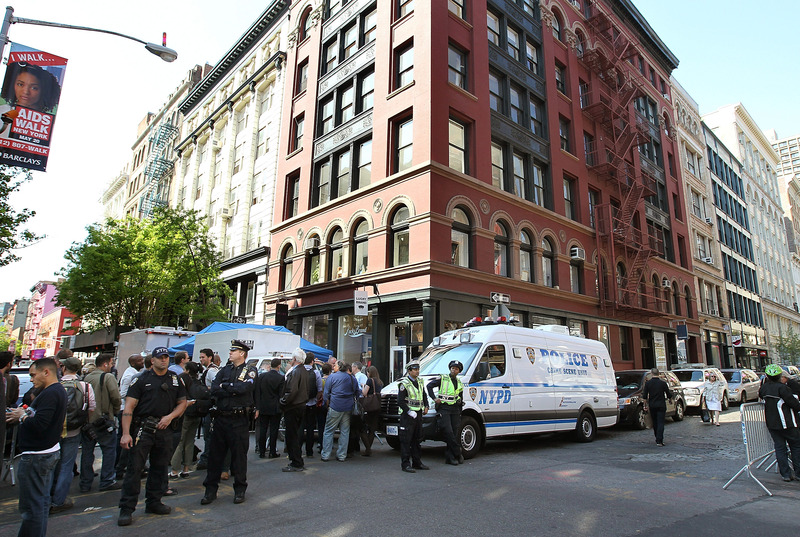 Police Commissioner William Bratton added that New York is "the safest big city in America." Bratton said that the NYPD will now attempt to "further reduce crime through community relationships and the integration of technology." So, just how record-setting and extraordinary was 2014 for New York City? The city had the fewest homicides, 332, since "the modern policing era began in 1993," de Blasio said. According to The Huffington Post, that number hasn't been so low since 1963. Robberies and burglaries also dropped substantially in the last year. Robberies fell by nearly 14 percent since 2013, while burglaries decreased by 4 percent. The decline is even more dramatic when you take the last 10 years into account: In 2005, there were about 25,000 robberies, compared to 16,500 in 2014. Perhaps the most interesting stat in the new crime report is the decrease in officer-involved firearm discharges — when an officer takes out his or her gun, but doesn't cause any physical harm — over the last decade. There were more than 120 incidents of officer-involved firearm discharges in 2005, compared to around 75 in 2014. These two brave men we lost – they contributed to this outstanding progress from last year. They didn't get to see the end of the year, but they were part of that success. They dreamed of doing this work their whole lives. You know their stories. They wanted to wear that uniform. They wanted to serve others. They wanted to work for just the kind of success that we're able to tell you about today. And if you know something about Detective Ramos and Detective Liu, you know they believed in building bridges between the police and the communities.